Welcome to Debut Diaries–One Year On, where SCBWI-UK members share their highs (hopefully lots of these) and lows (hopefully less of these) of the post-publication year. 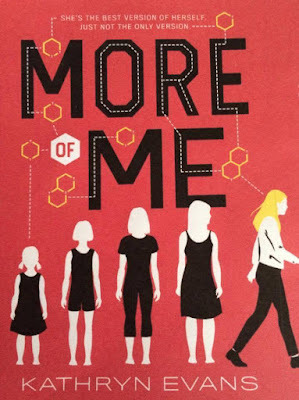 This month, Tizzie welcomes Kathryn Evans, author of the Carnegie-nominated More Of Me, to join her for Afternoon Tea. After a whirlwind post-debut year, it’s a chance for Kathy to put her feet up, and share her insights over a cuppa and some carefully chosen sweet treats, which reflect the mood of the months following life after debut. February was definitely the full scone, jam and cream. In early February, More of Me was launched at two amazing events. 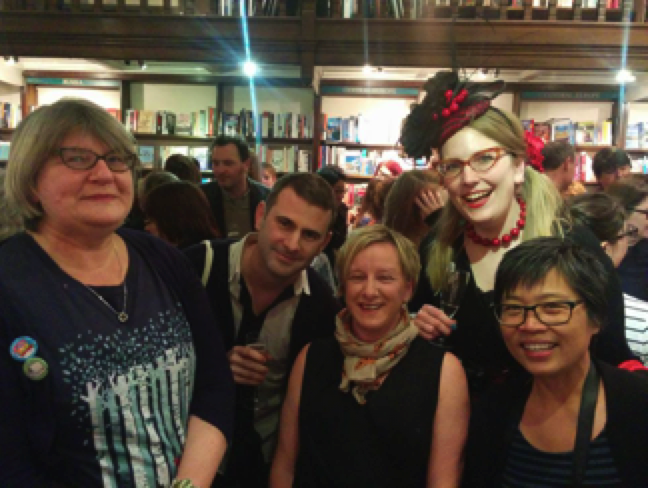 SCBWI turned out in force, so there is my number one piece of advice – join SCBWI! You will meet so many like-minded people who will delight in your success. Relish every moment of your launch – this is what you’ve worked for. • Invite librarians and booksellers as well as family and friends – these people matter to you! • Ask your publisher if they’ll give you some money towards it – they might not, but they might! And some will want to organise it too. 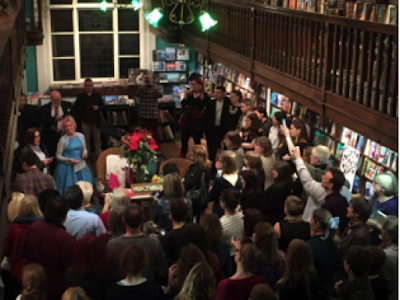 You can find further insight on book launches in Kathy’s blog post for Words and Pictures. April was an up and down kind of month – a Viennese whirl, a bit dry and crumb-y on the outside, but once I bit into it, it was delicious. 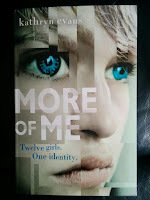 During April I got to work on edits for the U.S version of More of Me. I was really anxious about fiddling with a book I was already proud of, and Abrams wanted me to make some changes. I was worrying about nothing though, the changes were minor and, actually, it gave me a chance to tweak a few other bits that I’d wanted to twiddle with! August was the salmon-and-cream-cheese sandwich of our tea… real and solid. 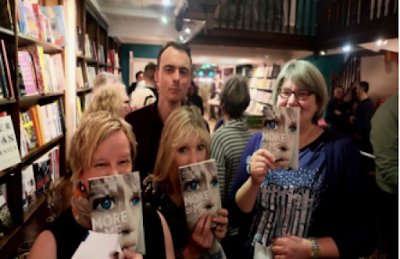 By August, we’d sold rights all over Europe, More of Me had received some great reviews, and I appeared at the Edinburgh Festival, which made me eligible for the Ed Book Fest First Book Award. I loved the festival, and my silliness in the event with Jo Cotterill went down a storm. 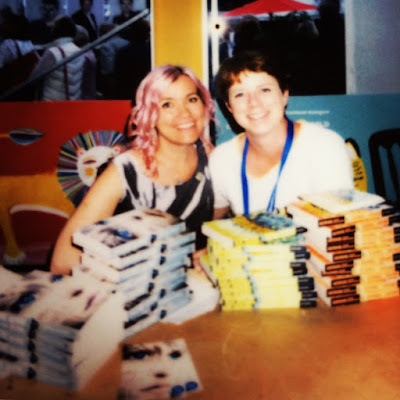 I was nearing the end of my second book, and I’d hooked up with four other SCBWI debuts to launch the Lost and Found tour – it’s been so much fun and taken us all over the place. I’d highly recommend teaming up with others for promotions. Things were beginning to feel real! November was a Twiglet month – love 'em or hate 'em! 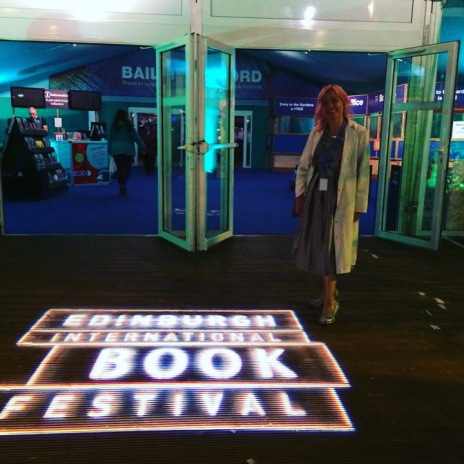 By November, I’d been nominated for the 2017 Carnegie medal (a massive slice of fruit cake), and I’d won the Edinburgh International Book Festival First Book Award. We sold rights as far afield as Korea, and the audio book for More of Me USA was in production. But…my agent was keen to get my new book out to my editor. I was writing under a kind of pressure I’d never felt before. I sent it to her before it was really ready but we worked on it together and I think it’s all going to be fine! I hope. 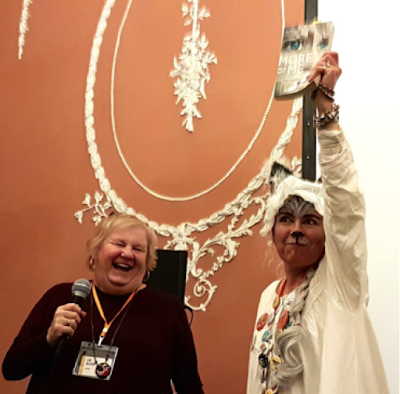 And of course there was the SCBWI conference – and at last, I could celebrate at the Mass Book Launch! 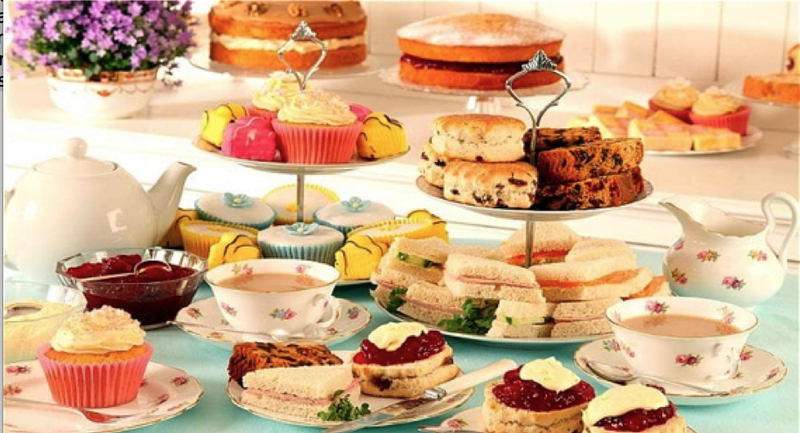 From Tizzie: A huge thank you to Kathy for sharing her life after debut and for providing the tasty treats for our Afternoon Tea (I’m off to scoff the leftovers!). 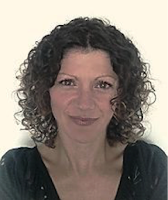 Kathryn Evans is Co-RA (regional advisor) for SCBWI British Isles. Her debut YA novel More of Me was published in 2016 and has been nominated for the Carnegie medal. 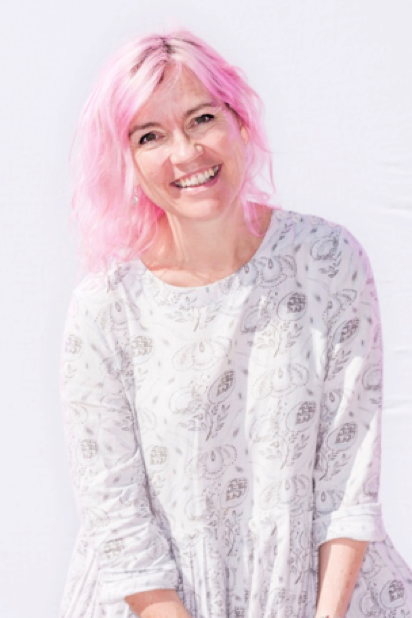 She is the first YA author ever to win the EIBF First Book Award and has been shortlisted for multiple regional awards across the UK. As well as volunteering for SCBWI, Kathryn has two children, runs a soft-fruit farm, fences competitively and belly-dances for fun. She is rarely bored. By day, Tizzie Frankish is a mum to two boisterous boys and a part-time University Tutor; by night, an agented writer who is plagued by her characters. She writes better in her dreams than she does in the cold light of day (thank goodness for edits!) and she’s currently working on a number of Young Fiction stories. Her works are often humorous and more often than not include animals; even if she starts out thinking they won’t. Thanks for having me Tizzie! Congratulations! Thanks for sharing your experience as an author. Really encouraging!